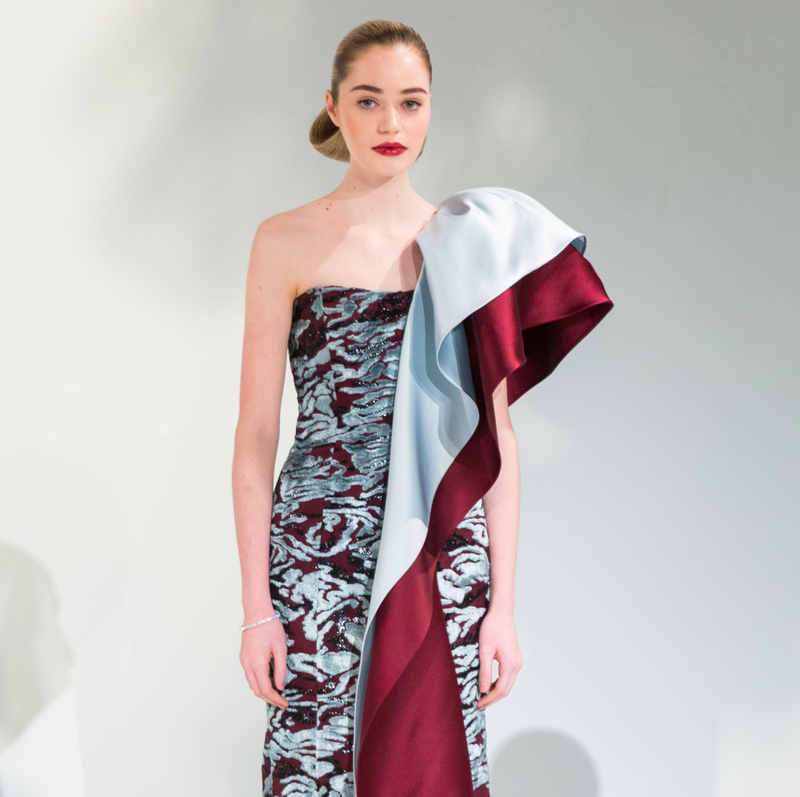 In a few short seasons, Elizabeth Kennedy has earned a reputation as one of fashion's foremost up-and-coming evening wear designers. (At the recent Oscars, Busy Phillips, in a velvet green Elizabeth Kennedy gown with polka dot cutouts, had a front row seat with her best friend, nominee Michelle Williams.) 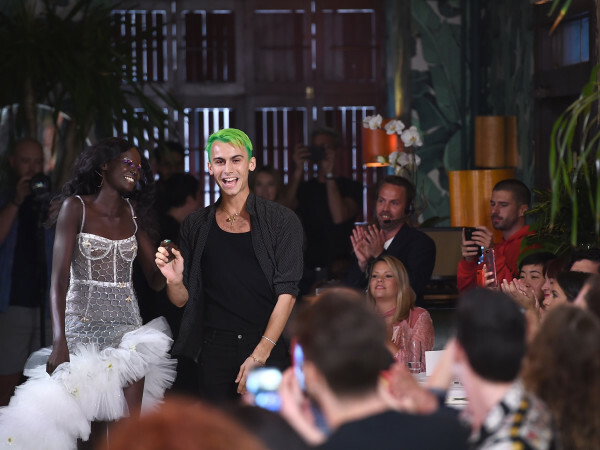 For Kennedy's fall collection, which she debuted at New York Fashion Week, the designer kept the buzz going with some drop-dead gorgeous gowns inspired by her fascination with exotic birds. 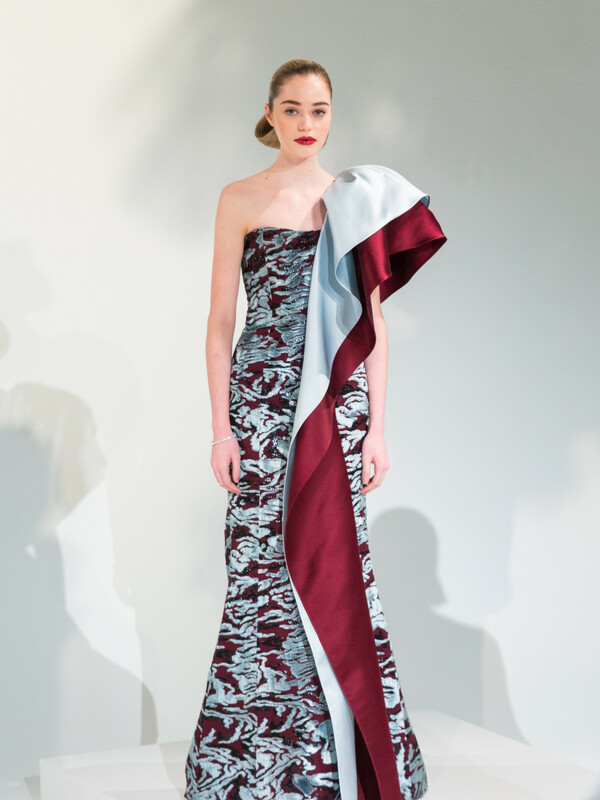 Kennedy said the unique color combinations (burgundy and mint, raspberry and turquoise), plume-like proportions (with ruffles extending from floor to shoulder), and, of course, feather applications recall the rarest of birds: A chic well-dressed woman. 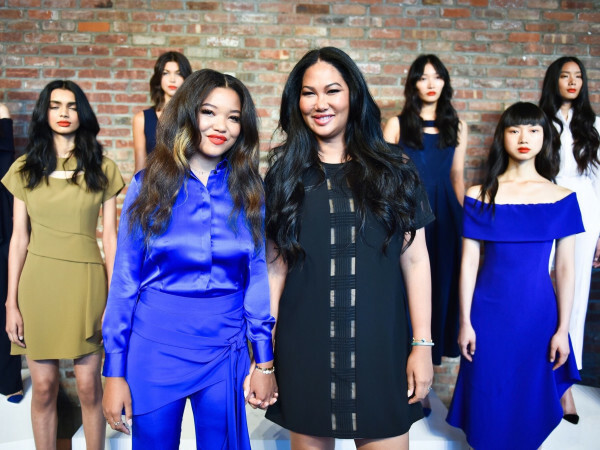 But the designer also showed her practical side by expanding her definition of evening wear with a number of nighttime separates that can just as easily be mixed with tailored black pants or jeans for a completely different look. 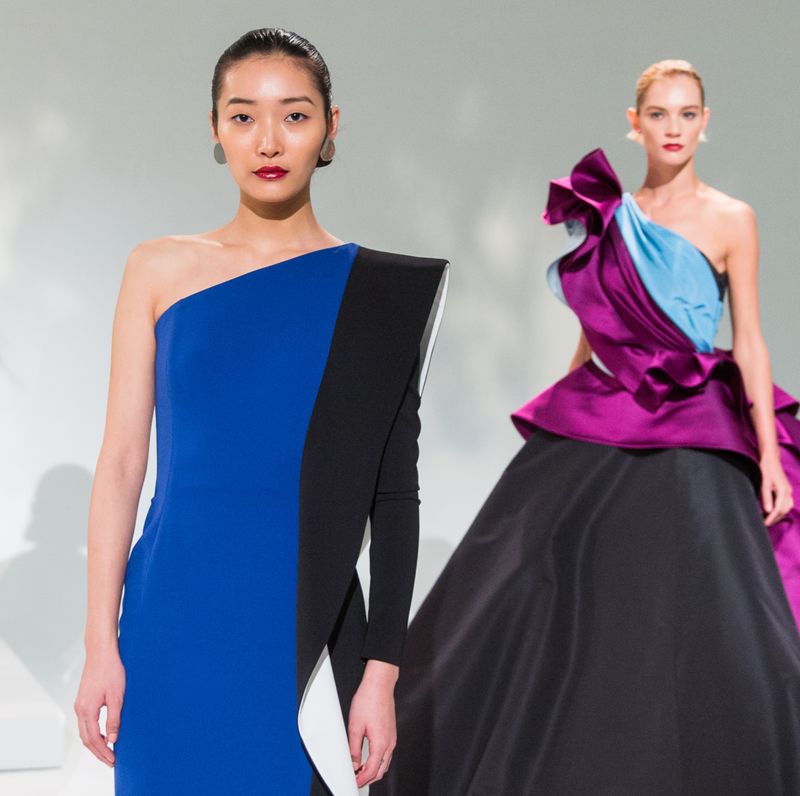 "I wanted it so that when you're wearing it, it looks like it could be a gown and you don't even realize it — you can't really tell when you first look at it that it's two pieces," she said. "We felt like there was a void in the market for separates that can actually be mixed and matched." 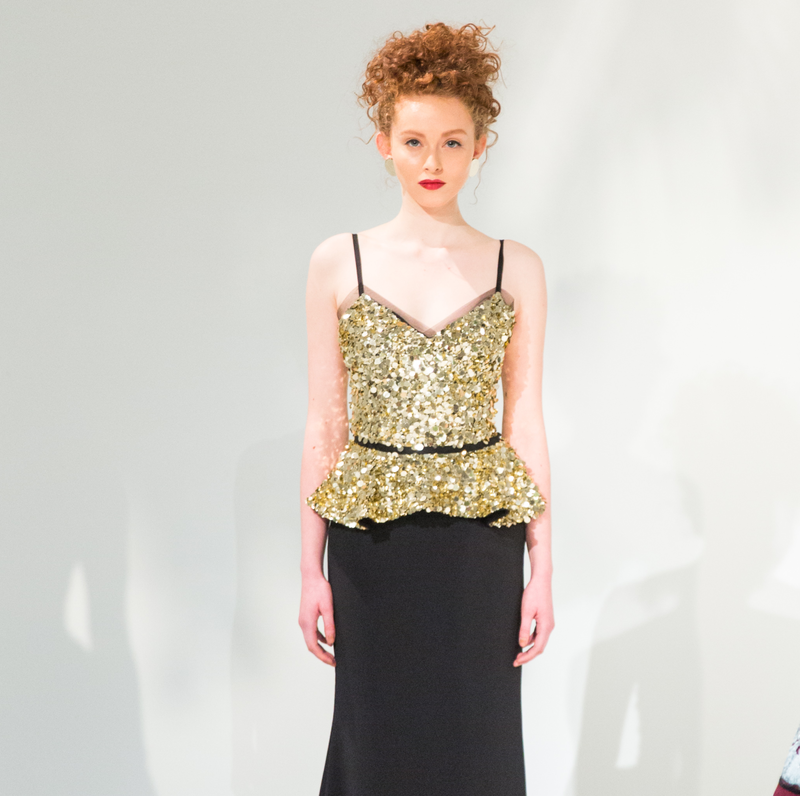 Indeed, such special pieces as a gold sequined bustier and black gown skirt meld together seamlessly while a feathered white blouse would transition easily to more casual dressing. Kennedy also created an elegant two-piece evening suit, with tailored jacket and ankle-length slacks that she wore to the presentation, while a model wore the same outfit and both looked effortlessly elegant. The jacket could serve as a versatile staple with a host of different looks. "Not every woman wants to wear a ball gown to every event," Kennedy continued. "Separates are a nice combination. She can mix it up and she can wear them over and over again." 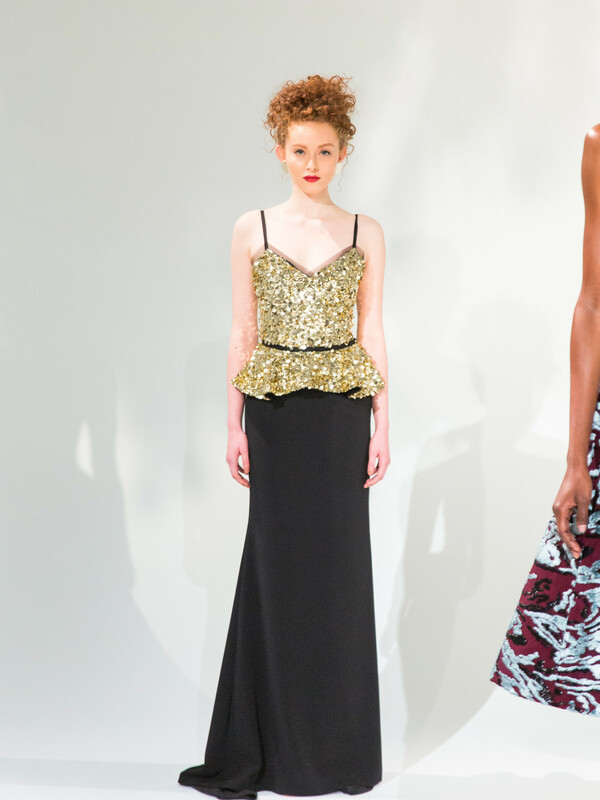 The Elizabeth Kennedy fall collection will be available in Houston at Elizabeth Anthony.